Dr. Sheila Bahadori provides full service orthodontic treatments to all of our patients at Valley Dental Group. In addition to traditional orthodontic treatments, she also provides clear braces and Invisalign. 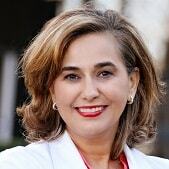 After attending dental school, Dr. Sheila completed a post doctorate residency in orthodontics. She is a member of the American Association of Orthodontists. Her skill and experience means she can help even the most extreme orthodontic needs. Self-consciousness about your smile might make you avoid social situations, or lack the confidence you need for a job interview or an important first impression. When you decide to straighten your teeth with orthodontic therapy, you’re choosing the key to enhanced function and beauty of your smile. 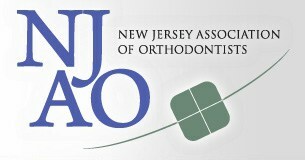 Orthodontics may also be used to enhance the effects of a smile makeover. Whatever your reason for wanting a straighter smile, Dr. Bahadori has the experience and treatment options you expect. We offer both clear and traditional orthodontic options based on your unique goals, budget, and treatment needs. Traditional bracket appliances are useful on patients with all types of misaligned bites, regardless of their age. Our orthodontic patients enjoy access to Invisalign. These removable aligners are made of thin, clear alignment trays that gradually move teeth into the correct position without any metal brackets. Dr. Bahadori uses iTero technology to take virtual digital impressions of the teeth, which makes your orthodontic therapy more precise and comfortable. Since we can be so accurate,our patients spend less time wearing braces or alignment trays.